Jazz Station - Arnaldo DeSouteiro's Blog (Jazz, Bossa & Beyond): Single of the Day - "Grover Washington,Jr. 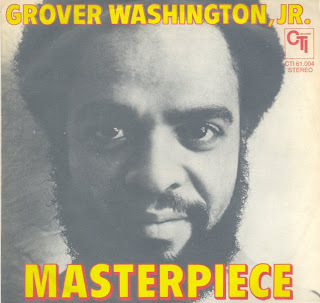 : Masterpiece"
Single of the Day - "Grover Washington,Jr. : Masterpiece"
Radio edit version of The Temptations' hit written by Norman Whitfield and covered by Grover on his Kudu album "Soul Box"
Featuring: Richard Tee, Bob James, Ron Carter, Idris Muhammad, Airto Moreira, Ralph MacDonald, Eric Gale, Randy Brecker, Jon Faddis, Bernie Glow, Wally Kane, Hubert Laws, George Marge et al.